Heavenly blog! : Nr. 795: What name is the Holy Spirit? Every person has a name if they are one person! Nr. 795: What name is the Holy Spirit? Every person has a name if they are one person! What name is the Holy Spirit? Every person has a name if they are one person! Throughout church history God has been portrayed in a false way. And why? More profoundly, there is an intense and ugly Jew contempt behind. Or as a backdrop that allows an easier understand how such unbiblical teachings are entered among the believers. God's Spirit is spoken of in Scripture as a force winds, with properties and more. But never with his own name, which clearly indicates that the Spirit is not a person, but the person performing the faders and Son's will. Observing and speak in Dam site. Thus, we find the Spirit described as a person but it is Nevertheless it illogical and unscriptural to make Spirit a person. 1 Cor. 8. 4b. there is no God but one. 5 For though there be that are called gods, whether in heaven or on earth - as there be gods many, and lords many - 6 as it is yet for us there is one God, the Father, of whom are all things, and we in him; and one Lord, Jesus Christ, through whom are all things, and we by him. Let us take up this topic here: What name is the Holy Spirit? Every person has a name if they are a person mind you! But the Holy Spirit is no person, not a name. How was it that the Spirit was a 3rd person in the Godhead? Did Jesus ever that he was God? No, he never did it. Jesus prayed also to God. On one occasion he said: "Thy will be done, not mine." (Luke 22: 42) If Jesus were God Almighty, who was there when he asked for? He might not pray to himself? The Bible says about what happened after Jesus' death: "God raised this Jesus." (Acts 2: 32) It is therefore evident that the Almighty God and Jesus are two different people. Not even after his death and resurrection and ascension of Jesus was equal with the Father. - 1 Corinthians 11: 3; 15: 28. The church is trying to point out a lot of things it. The doctrine of the Triune God is not Biblical. A book about the Greek people's history says about the attitude to religion that largely prevailed among Roman emperors in the third and fourth century: "Even when those who were on the imperial throne, was not especially preoccupied by religion but complying with the spirit, they found it necessary to give religion an important status within their political plans to give their actions a certain religious significance. "- Istoria tou Ellinikou Ethnous. Constantine was certainly a man of his time. At the beginning of his career he needed a form of "divine" support, and he could not get out of the Roman gods, who had lost much of its luster. World Kingdom with its religion and other institutions were in decline, and there was a need for something new and stimulating to bring its strength back. The Greek lexicon Hidria says: "Constantine was particularly interested in Christianity because it was in support of him in both his victory and the reorganization of his empire. The Christian churches that existed everywhere, his political support. . . . He surrounded himself with future major prelates. . .. And he insisted that they should preserve its unity. " 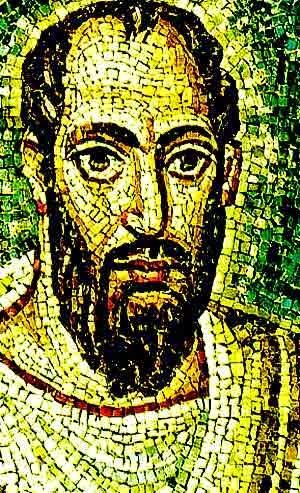 Constantine realized that the "Christian" religion - even as apostate and corrupt it appeared at that time - with good effect could be used as a restorative and unifying force and be of benefit to him in his ambitious plans to achieve imperial power. He accepted the basic features of the apostate Christianity to win support to further their own political goals and decided to unite people in one "catholic" or universal religion. Pagan customs and festivals were given "Christian" names. Since Constantine sought religious unity for political reasons, he was quick to bring all dissidents to silence, not on the basis of what was the true doctrine, but on the basis of what the majority found to accept. The profound doctrinal differences within the highly fragmented "Christian" church gave him the opportunity to intervene as a 'divinely appointed' bridge builder. Through his knowledge of the Donatists in North Africa and Arius' followers in the eastern part of the empire, he soon realized that persuasion was not enough to bring about a solid and united religion. It was in an attempt to resolve the dispute with the Arians, he called together for the first ever synod. Historian Paul Johnson says of Constantine: "One of his main reasons to tolerate Christianity, may have been that it gave him and the state the opportunity to oversee the church's rules on what's jurisprudence, and measures against those who deviate from the right doctrine. " What role did the unbaptized emperor Constantine during the Council of Nicaea? Encyclopœdia Britannica says: "Constantine himself was chairman and led an active discussion. . . For fear of the Emperor signed the bishops, with only two exceptions, creed, and many of them did much against his wish. " After two months of fierce religious debate took this pagan politician in and hit a decision in favor of those who said that Jesus was God. But why? "Constantine had not really any understanding of the questions that were asked in Greek theology," it says in a book about the Christian doctrine of history. (A Short History of Christian Doctrine) What he understood was that division in the religious area was a threat to his kingdom, and he wanted to strengthen his kingdom. Regarding the final document which was drawn up in Nikaia under the supervision of Constantine, says the aforementioned book about the Greek people's history (Istoria tou Ellinikou Ethnous): "This is evidence of Constantine's indifference to learning issues. . . His persistence urgency in trying to restore church unity at any cost, and finally his conviction that he 'bishop of those who stood outside the church', had the final say in every religious question. " The Bible says: "There is one God and one mediator between God and men, the man Christ Jesus, who gave himself a corresponding ransom for all." - 1 Timothy 2: 5, 6. Jesus was a perfect man on earth, became a ransom that exactly replaced what Adam had forfeited - the right to perfect human life on earth. The apostle Paul could therefore rightly call Jesus "the last Adam". Paul also said in this regard: "Just as all die in Adam, all will be made alive in Christ." (1 Corinthians 15: 22, 45) Jesus' perfect human life was the "corresponding ransom" that divine justice required - neither more or less. Also when it comes to human sense of justice, it is a fundamental principle that the price to be paid shall respond to the injustice that has been committed. But if Jesus was part of a deity, would redemption price have been infinitely higher than God's law demanded. (2. Exodus 21: 23-25​​; 3. Exodus 24: 19-21) Adam who sinned in Eden, was only a perfect man, not God. For the ransom really should be in harmony with God's justice, it had to be of the same value - a perfect man, "the last Adam". When God sent Jesus to earth as a ransom, he made Jesus therefore to what would satisfy justice, not an incarnation, not a gudmenneske, but a perfect man, who was "made ​​lower than the angels." (Hebrews 2: 9;-Compare Psalm 8: 6, 7.) How could a part of an omnipotent deity - the Father, the Son and the Holy Spirit - ever have been lower than the angels? The sending is larger than the one being sent. The one who is sent, a subordinate, a servant. It is God who sends, and it is Jesus being sent. They are not the same person. As Jesus put it: "The servant is not greater than his master, nor is a messenger is not greater than he that sent him." - John 13: 16. Jesus Himself said, "Father. . . is greater than I am. "(John 14: 28) We should believe Jesus, for he knew of course how his relationship with his father was. The apostle Paul knew that God is greater than Jesus, and he said, 'Son (Jesus) even (should) submit to God. "(1 Corinthians 15: 28) It is also evident from Paul's statement in 1 Corinthians 11 3, "the head of Christ is God." Jesus acknowledged that he had a God who was bigger than he was, when he said to his disciples: "I rush up to him who is my Father and your Father, my God and your God." - John 20: 17. To view it yourselves - instantly scripture says something other than human, so it is misdirection. As with Tomas' "my God". For it is there, why should he not have meant what it says? Why should we impose on him our logical analysis that Jesus and be God? (John 14.16-18) "And I will pray the Father, and he shall give you another Comforter (Jesus is therefore also advocate, my comm. ), Who will be with you forever, the Spirit of truth. The world can not take against him, for the world neither sees him nor knows him. But you know him, for he dwells with you and will be in you. I will not leave you as orphans, I will come to you. " Who's coming and going to be? "I" Jesus or the Spirit? Is this a logical sentence after normal requirements? The Apostle Paul stated that there are "many 'gods' and many 'lords'." (1 Corinthians 8: 5) Even Satan is called a "god", "god of this world". - 2 Corinthians 4: 4. Christ has a far higher position than imperfect people and Satan. When these can be referred to as "gods" can of course Jesus is referred to as a god, and he was too. Because of its unique position in relation to God the Father, Jesus is "the only begotten God" (John 1: 18), a "Mighty God" (Isaiah 9: 6) and "one God" (John 1: 1). Thus it was not improper for Tomas to mention Jesus in this way. Tomas said that Jesus was a god for him, a divine, powerful person. But he did not say that Jesus was God the Father, and therefore he said "my" God and not just "God". Already three verses later, in John 20: 31, the Bible says, "But these are written that you may believe that Jesus is the Christ, the Son of God." It removed all doubt as to what Tomas meant. John clearly says that Jesus is the Son of God, the Almighty God. Personification no evidence of personality. Jesus spoke of the holy spirit as a "helper / advocate" and said that this helper / Comforter would "learn", "witness" provide "convincing evidence", "lead", "speech", 'hear' and 'get'. It appears from the Greek text that Jesus in that regard sometimes used the personal pronoun in the masculine about this "helper" (paraklet). (Ref. John 14: 16, 17, 26; 15: 26; 16: 7-15.) But the Bible is not unusual for something that is not a person, being personified. Wisdom is also personified in Matthew 11: 19 and Luke 7: 35, where it is described as having both "works" and "children". The apostle Paul spoke of both sin and death and grace as "kings". (Ro 5: 14, 17, 21; 6: 12) He says about sin that it "got a chance", 'caused greed', "enticed" and "killed". (Ro 7: 8-11) Nevertheless, it is clear that Paul did not mean that sin is a person. Jesus' words about the Holy Spirit, which John referred, must also be considered in the context they are in. Jesus personalized the holy spirit when he spoke of the spirit as a "helper" (gr. Parakletos, masculine). It is therefore rightly John in his rendering of Jesus' words using personal pronouns in the masculine gender when he refers to the spirit as a "helper". In contrast, when the Greek word pneuma is used in the same context, using John pronoun in the neuter of the Holy Spirit, as pneuma is a intetkjønnsord. The fact that John uses a personal pronoun in the masculine when he refers to parakletos is therefore an example that he follows the grammatical rules, and thus has no doctrinal significance. - John 14: 16, 17; 16: 7, 8. It is not as difficult this with Trinity and reject it! We have a spirit man. Satan and the Antichrist is that God the Father and the Son, one Spirit in Biblical admonition. How can I continue. However, proper names, we meet the Spirit in the Bible? Not once without Azazel was the animal that was to be released as the scapegoat. 3 Exodus 16. 5 And the children of Israel shall he receive two goats for a sin offering and a ram for a burnt offering. 6 And Aaron shall offer the sin offering bull and make atonement for himself and for his house. 7 And he shall take the two goats and present them before the LORD at the door of the tabernacle. 8 And Aaron shall cast lots upon the two goats, one lot for the Lord and the other lot for Azazel. / 9 And the goat on which the lot has become the Lord of Aaron shall bring the sacrifice for sin. 10 But the goat on which the lot has become the scapegoat, shall be presented alive before the LORD, that it shall make an atonement with it, and then it is sent into the wilderness to Azazel. 11 And Aaron shall bring the sin offering bull and make atonement for himself and for his house, he shall kill the sin offering bull. This is the closest in Scripture one finds a name of a spirit and it is possibly Satan's Spirit. Or we can understand it to mean that Azazel is Satan himself? But that's where Satan is with His Spirit? No and again a no. The entire Trinity is a big Rolpa and nonsense from beginning to end. But that said, it must be obvious, that Jesus said about divorce and remarriage as well. Matt. 19. 12 For there are some eunuchs, which were so born from their mother's womb, and there are eunuchs who were made eunuchs of men: and there are eunuchs who have made ​​themselves eunuchs for the kingdom of heaven. The one who can accept this should accept it! Notice what Jesus said as a conclusion: "The one who can accept this, let him receive it." I accept that others do not see it like that myself, and there may be various reasons for it. But for my part, I do not believe in either Jesus only doctrine or the Trinity. But the Jewish-Christian understanding of this that one finds among the early Christians before the church was infected and so much strange and unbiblical teachings. I have a watch-Christian understanding and learning, and I am proud and happy to have. Then others think and learn what they want, but I do not go away from this learning for all in this world!